Tablets can be classified according to the presence and physical appearance of keyboards. Slates and booklets do not have a physical keyboard, and text input and other input is usually entered through the use of a virtual keyboard shown on a touchscreen-enabled display. Hybrids, convertibles and 2-in-1s do have physical keyboards (although these are usually concealable or detachable), yet they typically also make use of virtual keyboards. Most tablets can use separate keyboards connected using Bluetooth. Following their earlier tablet-computer products such as the Pencept PenPad and the CIC Handwriter, in September 1989, GRiD Systems released the first commercially available tablet-type portable computer, the GRiDPad. The GRiDPad was also manufactured by the Samsung Corporation after acquiring GRiD System. All three products were based on extended versions of the MS-DOS operating system. In 1992, IBM announced (in April) and shipped to developers (in October) the 2521 ThinkPad, which ran the GO Corporation's PenPoint OS. Also based on PenPoint was AT&T's EO Personal Communicator from 1993, which ran on AT&T's own hardware, including their own AT&T Hobbit CPU. 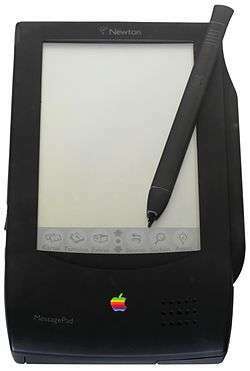 Apple Computer launched the Apple Newton personal digital assistant in 1993. It utilised Apple's own new Newton OS, initially running on hardware manufactured by Motorola and incorporating an ARM CPU, that Apple had specifically co-developed with Acorn Computers. The operating system and platform design were later licensed to Sharp and Digital Ocean, who went on to manufacture their own variants. Nokia had plans for an Internet tablet since before 2000. An early model was test manufactured in 2001, the Nokia M510, which was running on EPOC and featuring an Opera browser, speakers and a 10-inch 800×600 screen, but it was not released because of fears that the market was not ready for it. In 2005, Nokia finally released the first of its Internet Tablet range, the Nokia 770. These tablets now ran a Debian based Linux OS called Maemo. 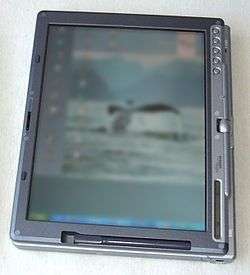 Nokia used the term internet tablet to refer to a portable information appliance that focused on Internet use and media consumption, in the range between a personal digital assistant (PDA) and an Ultra-Mobile PC (UMPC). They made two mobile phones, the N900 that runs Maemo, and N9 that run Meego. Android was the first of the 2000s-era dominating platforms for tablet computers to reach the market. In 2008, the first plans for Android-based tablets appeared. The first products were released in 2009. Among them was the Archos 5, a pocket-sized model with a 5-inch touchscreen, that was first released with a proprietary operating system and later (in 2009) released with Android 1.4. The Camangi WebStation was released in Q2 2009. The first LTE Android tablet appeared late 2009 and was made by ICD for Verizon. This unit was called the Ultra, but a version called Vega was released around the same time. Ultra had a 7-inch display while Vega's was 15 inches. Many more products followed in 2010. Several manufacturers waited for Android Honeycomb, specifically adapted for use with tablets, which debuted in February 2011. In 2013, Samsung announced a tablet running Android and Windows 8 operating systems concurrently; switching from one operating system to the other and vice versa does not require restarting the device, and data can be synchronized between the two operating systems. The device, named ATIV Q, was scheduled for release in late 2013 but its release has been indefinitely delayed. Acer presented its first tablet computer during its global press conference in New York on 23 November 2010. The family which is called Acer Iconia also includes a big screen smartphone called Iconia Smart. The Iconia series displays utilize Gorilla Glass. Meanwhile, Asus released its Transformer Book Trio, a tablet that is also capable of running the operating systems Windows 8 and Android. As of February 2014, 83% of mobile app developers were targeting tablets, but 93% of developers were targeting smartphones. By 2014 around 23% of B2B companies were said to have deployed tablets for sales-related activities, according to a survey report by Corporate Visions. As of November 2015, tablet use in the world is led by the iPad with a market share of 65.66% and Android tablets with a market share of 32.08%. The iPad holds majority use in North America, Western Europe, Japan, Australia, and most of the Americas. Android tablets are more popular in most of Asia (China and Russia an exception), Africa and Eastern Europe. In 2015 tablet sales did not increase. Apple remained the largest seller but its market share declined below 25% Samsung vice president Gary Riding said early in 2016 that tablets were only doing well among those using them for work. Newer models were more expensive and designed for a keyboard and stylus, which reflected the changing uses. A key component among tablet computers is touch input on a touchscreen. This allows the user to navigate easily and type with a virtual keyboard on the screen or press other icons on the screen to open apps or files. The first tablet to do this was the GRiDPad by GRiD Systems Corporation; the tablet featured both a stylus, a pen-like tool to aid with precision in a touchscreen device as well as an on-screen keyboard. The system must respond to touches rather than clicks of a keyboard or mouse, which allows integrated hand-eye operation, a natural use of the somatosensory system. This is even more true of 2016-era multi-touch interface, which often emulates the way objects behave. As of 2016, most tablets use capacitive touchscreens with multi-touch, unlike earlier resistive touchscreen devices which users needed styluses to do input. After 2007, with access to capacitive screens and the success of the iPhone, other features became common, such as multi-touch features (in which the user can touch the screen in multiple places to trigger actions and other natural user interface features, as well as flash memory solid state storage and "instant on" warm-booting; external USB and Bluetooth keyboards defined tablets. Some tablets have 3G mobile telephony applications. Most tablets released since mid-2010 use a version of an ARM processor for longer battery life. The ARM Cortex family is powerful enough for tasks such as internet browsing, light production work and mobile games. As with smartphones, most mobile tablet apps are supplied through online distribution. These sources, known as "app stores", provide centralized catalogs of software and allow "one click" on-device software purchasing, installation and updates. The app store is often shared with smartphones that use the same operating system. 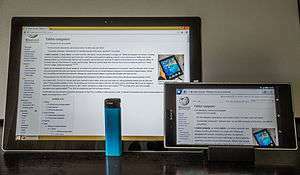 Crossover tablet device types from 2014: Microsoft Surface Pro 3 laplet, and Sony Xperia Z Ultra phablet, shown next to a generic blue-colored lighter to indicate their size. Mini tablets are smaller and lighter than standard slates, with a typical screen size between 7–8 inches (18–20 cm). The first successful ones were introduced by Amazon (Kindle Fire), Barnes & Noble (Nook Tablet), and Samsung (7-inch Galaxy Tab) in 2011, and by Google (the Nexus 7) in 2012. They work the same as larger tablets, however with lower specifications when compared to the larger tablets. On September 14, 2012, Amazon released an upgraded version of the Kindle Fire, called the Kindle Fire HD, with higher resolution and more features compared with the original Kindle Fire, though it remained 7 inches. In October 2012, Apple released the iPad Mini with a 7.9 inch screen size, about 2 inches smaller than the regular iPad, but less powerful than the then current iPad 3. On July 24, 2013, Google released an upgraded version of the Nexus 7, with FHD display, dual cameras, stereo speakers, more color accuracy, performance improvement, built-in wireless charging, and a variant with 4G LTE support for AT&T, T-Mobile, and Verizon. In September 2013, Amazon further updated the Fire tablet with the Kindle Fire HDX. In November 2013, Apple released the iPad Mini 2, which remained at 7.9 inches and nearly matched the hardware of the iPad Air. Since 2010, crossover touch-screen mobile phones with screens larger than 5-inches have been released. That size is generally considered larger than a traditional smartphone, creating a hybrid category called a phablet by Engadget and Forbes. Phablet is a portmanteau of phone and tablet. Examples of phablets are the Dell Streak, LG Optimus Vu, and Samsung Galaxy Note. Samsung announced they had shipped a million units of the Galaxy Note within two months of introducing it. Convertibles and hybrids are crossover devices, featuring traits of both tablets and laptops. Convertibles have a chassis design allowing to conceal the keyboard, for example folding it behind the chassis. Hybrids' keyboards can be completely detached even when the device is running. 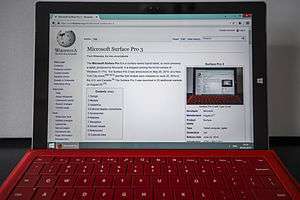 2-in-1s can have both the convertible or hybrid form, dubbed 2-in-1 convertibles and 2-in-1 detachables respectively, but distinct by a support of desktop operating system, such as Windows 10. When traditional tablets are primarily used as a media consumption devices, 2-in-1s capable of both that and a content creation, and due to this fact they are often dubbed as a laptop or desktop replacements. 2-in-1s have a number of typical laptop I/O-ports, such as USB 3 and DisplayPort, run desktop operating system, like Windows 10, and can connect to a number of traditional PC peripheral devices and external displays. Asus Transformer Pad-series devices, which run variants of Android OS, are example of hybrids. The latest addition to the Apple iPad series, iPad Pro with an optional detachable keyboard and a stylus is a prominent example of a modern hybrid. Microsoft's Surface Pro-series devices and Surface Book exemplify 2-in-1 detachables, whereas Lenovo Yoga-series computers are notable 2-in-1 convertibles. Some tablets are modified by adding physical gamepad buttons such as D-pad and thumb sticks for better gaming experience combined with the touchscreen and all other features of a typical tablet computer. Most of these tablets are targeted to run native OS games and emulator games. 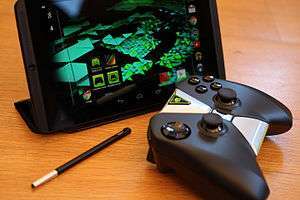 Nvidia's Shield Tablet, with a 8 inches (200 mm) display, and running Android, is an example. It runs Android games purchased from Google Play store. PC games can also be streamed to the tablet from computers with some models of Nvidia-powered video cards. In contrast to consumer-grade tablet computers, customized business tablets are built specifically for a business entity to achieve customized functionality from a hardware and software perspective, and delivered in a business-to-business transaction. For example, in hardware, a transportation company may find that the consumer-grade GPS module in an off-the-shelf tablet provides insufficient accuracy, so a tablet can be customized and embedded with a professional-grade antenna to provide a better GPS signal. For a software example, the same transportation company might remove certain software functions in the Android system, such as the internet browser, to reduce costs from unnecessary cellular network data consumption of an employee. Tablets, like conventional PCs, run on multiple operating systems (though dual-booting on tablets is relatively rare). These operating systems come in two classes, desktop-based and mobile-based ("phone-like") OS. Desktop OS-based tablets are currently thicker and heavier, require more storage, more cooling and give less battery life, but can run processor-intensive applications such as Adobe Photoshop in addition to mobile apps and have more ports, while mobile-based tablets are the reverse, only run mobile apps. Those that focus more so on mobile apps use battery life conservatively because the processor is significantly smaller. This allows the battery to last much longer than the common laptop. At the end of Q1 2013, GlobalWebIndex noted that in two years tablet usage increased by 282 percent, with 156 million Android tablet users and 122 million iPad users making up 75 percent. By year-end 2013, Gartner found that 121 million (plus 53M in 2012) Android tablets, 70 million (plus 61M in 2012) iOS tablets, and 4 million (plus 1M in 2012) Windows tablets had been sold to end-users (2013 and 2012 results). Android is a Linux-based operating system that Google offers as open source under the Apache license. It is designed primarily for mobile devices such as smartphones and tablet computers. Android supports low-cost ARM systems and others. Many such systems were announced in 2010. Vendors such as Motorola and Lenovo delayed deployment of their tablets until after 2011, when Android was reworked to include more tablet features. 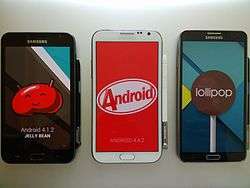 Android 3.0 (Honeycomb) and later versions support larger screen sizes, mainly tablets, and have access to the Google Play service. Android includes operating system, middleware and key applications. Other vendors sell customized Android tablets, such as Kindle Fire and Nook, which are used to consume mobile content and provide their own app store, rather than using the larger Google Play system, thereby fragmenting the Android market. Hardware makers that have shipped Android tablets include Acer, Asus, Samsung, Sony, and Toshiba. Additionally, Google introduced the Nexus 7 and Nexus 10 tablets in 2012. The ProGear by FrontPath was an early implementation of a Linux tablet that used a Transmeta chip and a resistive digitizer. The ProGear initially came with a version of Slackware Linux, and later with Windows 98. They can run many operating systems. However, the device is no longer for sale and FrontPath has ceased operations. Many touch screen sub-notebook computers can run any of several Linux distributions with little customization. X.org now supports screen rotation and tablet input through Wacom drivers, and handwriting recognition software from both the Qt-based Qtopia and GTK+-based Internet Tablet OS provide open source systems. KDE's Plasma Active is a graphical environment for tablet. 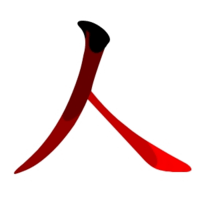 Linux open source note taking software includes Xournal (which supports PDF file annotation), Gournal (a Gnome-based note taking application), and the Java-based Jarnal (which supports handwriting recognition as a built-in function). A standalone handwriting recognition program, CellWriter, requires users to write letters separately in a grid. Many desktop distributions include tablet-friendly interfaces smaller devices. These open source libraries are freely available and can be run or ported to devices that conform to the tablet PC design. Maemo (rebranded MeeGo in 2010), a Debian Linux based user environment, was developed for the Nokia Internet Tablet devices (770, N800, N810 & N900). It is currently in generation 5, and has many applications. Ubuntu uses the Unity UI, and many other distributions (such as Fedora) use the Gnome shell (which also supports Ubuntu). Canonical hinted that Ubuntu would be available on tablets by 2014. In February 2016 there was a commercial release of an Ubuntu tablet. TabletKiosk was the first to offer a hybrid digitizer / touch device running openSUSE Linux. Nokia entered the tablet space in May 2005 with the Nokia 770 running Maemo, a Debian-based Linux distribution custom-made for their Internet tablet line. The product line continued with the N900, with phone capabilities. The user interface and application framework layer, named Hildon, was an early instance of a software platform for generic computing in a tablet device intended for internet consumption. But Nokia didn't commit to it as their only platform for their future mobile devices and the project competed against other in-house platforms and later replaced it with the Series 60. Following the launch of the Ultra-mobile PC, Intel started the Mobile Internet Device initiative, which took the same hardware and combined it with a tabletized Linux configuration. Intel co-developed the lightweight Moblin (mobile Linux) operating system following the successful launch of the Atom CPU series on netbooks. Several hardware companies have built hybrid devices with the possibility to work with both the Windows 8 and Android operating systems. In mid-2014, Asus planned to release a hybrid touchscreen Windows tablet/laptop with a detachable Android smartphone. When docked to the back of the tablet/laptop display, the Android phone is displayed within the Windows 8 screen, which is switchable to Android tablet and Android laptop. However this device was never released and the only hybrid which was sold was the Asus Transformer Book Trio. Mobile device suppliers typically adopt a "walled garden" approach, wherein the supplier controls what software applications ("apps") are available. 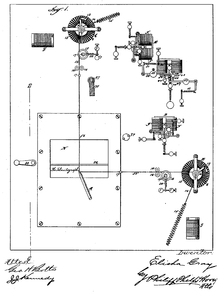 Software development kits are restricted to approved software developers. This can be used to reduce the impact of malware, provide software with an approved content rating, control application quality and exclude competing vendors. Apple, Google, Amazon, Microsoft and Barnes & Noble all adopted the strategy. B&N originally allowed arbitrary apps to be installed, but, in December 2011, excluded third parties. Apple and IBM have agreed to cooperate in cross-selling IBM-developed applications for iPads and iPhones in enterprise-level accounts. Proponents of open source software say that it violates the spirit of personal control that traditional personal computers have always provided. As of October 2012, display screen shipments for tablets began surpassing shipments for laptop display screens. According to a survey conducted by the Online Publishers Association (OPA) now called Digital Content Next (DCN) in March 2012, 31% percent of Internet users in the United States owned a tablet, up from 12% in 2011. The survey also found that 72% of tablet owners had an iPad, while 32% had an Android tablet. By 2012, Android tablet adoption had increased. 52% of tablet owners owned an iPad, while 51% owned an Android-powered tablet (percentages do not add up to 100% because some tablet owners own more than one type). By end of 2013, Android's market share rose to 61.9%, followed by iOS at 36%. By late 2014, Android's market share rose to 72%, followed by iOS at 22.3% and Windows at 5.7%. Research firms Gartner and IDC both predict that tablet sales will exceed traditional personal computer (desktops, notebooks) sales in 2015. As per the report from ABI Research in 2014 December, globally the average selling price of Ultrabooks and tablets declined 7.8 percent in 2014. Around 2010, tablet use by businesses jumped, as business have started to use them for conferences, events, and trade shows. In 2012, Intel reported that their tablet program improved productivity for about 19,000 of their employees by an average of 57 minutes a day. In the US and Canada, it is estimated that 60% of online consumers will own a tablet by 2017 and in Europe, 42% of online consumers will own one. As of the beginning of 2013, 29% of US online consumers owned tablet computers, a significant jump from 5% in 2011. As of the beginning of 2014, 44% of US online consumers own tablets. Tablet use has also become increasingly common amongst children. A 2014 survey found that touch screens were the most frequently used object for play amongst American children under the age of 12. Touch screen devices were used more often in play than game consoles, board games, puzzles, play vehicles, blocks and dolls/action figures. Despite this, the majority of parents said that a touch screen device was "never" or only "sometimes" a toy. As of 2014, nearly two-thirds of American 2- to 10-year-olds have access to a tablet or e-reader. The large use of tablets by adults is as a personal internet-connected TV. A recent study has found that a third of children under five have their own tablet device. While Android tablets sell more units than iPad, the web browser usage share of iPads is about 65% as of the middle of 2015. ↑ Editors PC Magazine. "Definition of: tablet computer". PC Magazine. Retrieved April 17, 2010. ↑ "iPad Available in US on April 3" (Press release). Apple. March 5, 2010. Retrieved March 5, 2010. ↑ The Dell Venue 8 7000 Series Review. Anandtech. 23 March 2015. Retrieved 23 March 2015. ↑ "Did Arthur C Clarke invent the iPad?". Margaret Puls. ↑ "Star Trek PADD". Retrieved June 21, 2014. ↑ "I keep wishing for a real tablet--one that would function as the pocket computer we described in The Mote in God's Eye".— Pournelle, Jerry (July 8, 2011). "Jerry Pournelle Is Back in the House". Retrieved June 25, 2014. ↑ Richards, Mike (January 23, 2008). "Why the iPhone makes 2008 seem like 1968 all over again". Open2. ↑ Steinberg, Daniel H. (April 3, 2003). "Daddy, Are We There Yet? A Discussion with Alan Kay". O'Reilly Media. ↑ Kay, Alan (1972). "A Personal Computer for Children of All Ages". ↑ McCracken, Harry (January 27, 2010). "The Long Fail: A Brief History of Unsuccessful Tablet Computers". Retrieved August 18, 2014. ↑ "Technologies for the Information Society". Google. 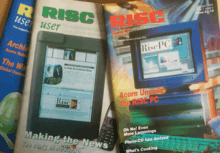 ↑ Editors Risc User Magazine. "The Story of NewsPAD". Risc User. Retrieved February 20, 2013. ↑ Page, M. (December 21, 2000). "Microsoft Tablet PC Overview". TransmetaZone. ↑ Kuhn, Bradley M. (2010). "Free software and cellphones". Free Software Foundation. 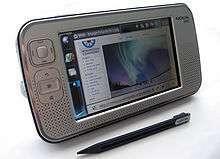 ↑ "Ericsson, CWC develop Linux handheld PC". January 12, 2001. Retrieved August 14, 2013. ↑ "///Ericsson Forum - Infos and support". March 21, 2012. Retrieved August 14, 2013. ↑ "Tablet history dates back two decades before iPad". www.newsday.com. November 4, 2013. Retrieved 2016-03-02. ↑ "Microsoft Releases Pocket PC". Microsoft. Retrieved May 9, 2014. ↑ "Tablet PC: Coming to an Office Near You?". datamation.com. Retrieved September 8, 2013. ↑ "Nokialla oli valmis tabletti 13 vuotta sitten tältä se näytti". digitoday.fi. ↑ "maemo.org - maemo.org: Home of the Maemo community". maemo.org. ↑ "The iPad's victory in defining the tablet: What it means". Infoworld. ↑ Gilbert, Jason (August 19, 2011). "HP TouchPad Bites The Dust: Can Any Tablet Dethrone The IPad?". Huffington Post. ↑ Whittaker, Zack (May 17, 2013). "iPhones, iPads cleared for U.S. military use; DOD fortifies cloud". ZDNet. Retrieved Dec 30, 2015. ↑ Worstall, Tim (July 2, 2011). "iPad: One of the Most Successful Products Ever". Forbes. Retrieved June 10, 2013. ↑ Moscaritolo, Angela (June 18, 2012). "Survey: 31 Percent of U.S. Internet Users Own Tablets". PC Magazine. Retrieved October 20, 2012. ↑ Chen, Brian X. (October 23, 2012). "Apple, Facing Competition, Introduces a Smaller iPad of no significant change". The New York Times. Retrieved October 24, 2012. ↑ Chen, Brian X. (October 19, 2012). "How Are 7-Inch Tablets Doing?". The New York Times. Retrieved October 20, 2012. ↑ Poeter, Damon (December 27, 2012). "Non-Apple Tablets Making Small Gains on iPad | News & Opinion". PCMag.com. Retrieved July 8, 2013. ↑ "Massacre of the tablets | FP Tech Desk | Financial Post". Business.financialpost.com. December 24, 2011. Retrieved June 14, 2013. ↑ "Can't Decide Between Windows or Android? Samsung's ATIV Q Convertible Does Both.". June 20, 2013. ↑ "[단독]삼성 괴물 노트북 '아티브Q' 전면 보류". ZDNet Korea (in Korean). Naver. Retrieved August 29, 2013. ↑ Latest gadgets from Nokia, Asus and Samsung. 3 News NZ. September 30, 2013. ↑ W3C Interview: Vision Mobile on the App Developer Economy with Matos Kapetanakis and Dimitris Michalakos. 18 February 2014. Retrieved 24 February 2015. ↑ "1 in 4 B2B Companies Report Use of Tablets to Aid Sales-Related Activities". MarketingCharts. February 19, 2014. Retrieved August 20, 2014. ↑ "iPad loses marketshare as tablet market shrinks". Network World. Retrieved 2016-01-03. ↑ "The consumer tablet is dying; long live the business tablet". Winston-Salem Journal. Associated Press. 2016-03-27. Retrieved 2016-03-28. ↑ Barnett, Shawn. "Jeff Hawkin". Pen Computing Magazine. ↑ "Best Buy: iPad cutting into laptop sales". CNET. CBS Interactive. ↑ "Notebook sales growth goes negative. Can we blame the iPad yet?". Fortune. ↑ Benjamin Pimentel. "Apple's Mac sales not slowed by iPad". MarketWatch. ↑ "Annotated Bibliography in On-line Character Recognition, Pen Computing, Gesture User Interfaces and Tablet and Touch Computers". ruetersward.com. ↑ Thorp-Lancaster, Dan (Apr 15, 2015). "Google releases new Handwriting Input keyboard with support for 82 languages". Android Central. Retrieved Dec 30, 2015. ↑ "Pro Pen for Surface Pro and Surface Pro 2 | Handwriting on Surface Pro and Surface Pro 2". www.microsoft.com. Retrieved 2015-12-31. ↑ Non-Apple Tablets Making Small Gains on iPad, PC MagazineDamon Poeter (Dec 27, 2012). ↑ Raphael, JR (Aug 12, 2010). "First look: Google's new Voice Actions for Android". Computerworld. Retrieved Dec 30, 2015. ↑ "Various Types of Tablets". Pinig. Retrieved 11 September 2016. ↑ Franklin, Eric (October 30, 2012). "Tablets buying guide | Tablets - CNET Reviews". Reviews.cnet.com. Retrieved June 14, 2013. ↑ Franklin, Eric (April 10, 2012). "The Toshiba Excite 13 sports the largest tablet screen yet | Android Atlas - CNET Reviews". Reviews.cnet.com. Retrieved June 14, 2013. ↑ King, Charles. "Dell's XPS 18 is the latest 'big tablet' innovation". TabTimes. Archived from the original on 2013-03-17. Retrieved June 30, 2013. ↑ "iPad Pro". Apple. Retrieved September 9, 2015. ↑ "Events". Apple. Retrieved June 14, 2013. ↑ Kay, Roger. "5" Is the market ready for a 'phablet'?". Forbes. ↑ "5" Smartphones: LG Optimus Vu vs. Samsung Galaxy Note". February 14, 2012. Archived from the original on 2012-02-16. ↑ "Here Come the Hybrid 'Laplets.' Should You Care?". Wired. Retrieved August 13, 2014. ↑ Dubie, Denise (April 29, 2010). "Microsoft kills courier tablet project: Apple's iPad influence likely crushes Microsoft tablet". NetworkWorld. ↑ Keller, Mike (April 29, 2010). "Microsoft Courier Tablet Canceled! : Gizmodo reports today that Microsoft's much-hyped Courier tablet has been canceled.". PC World. ↑ "The 8 biggest product flops of 2012 (#4)". Marketwatch. Retrieved June 30, 2013. ↑ "Intel shows pricing pressures for Atom due to competition from ARM". Retrieved October 17, 2010. ↑ "Intel launches FPGA-equipped Atom". Retrieved November 23, 2010. ↑ Intel on track to build two chips with ARM inside. October 2013. ↑ "Apple iPad Price, Features Say "ARM" All Over". bnet. ↑ Tim Barjarin (July 16, 2012). "ARM vs. Intel: How the Processor Wars Will Benefit Consumers". ↑ "The Economist - Space invaders, America's Intel and Britain's ARM have long dominated different bits of the global chip market. Now each is attacking the other's stronghold". January 7, 2012. ↑ "Intel Chairman: "We Seemed to Have Lost Our Way"". November 21, 2013. Retrieved November 21, 2013. ↑ Eassa, Ashraf. "Intel's 40 Million Tablet Campaign Seems Negative for ARM". Retrieved December 23, 2013. Fried, Ina (November 20, 2014). "Intel Probably Won't Reach 70 Million Tablet Chips Next Year, CEO Says". Retrieved 2014-11-22. : Mobile operating losses will be approximately $4 billion, and $3.2 billion in 2014, and 2015, respectively. ↑ "Microsoft Surface Pro review". engadget. Retrieved June 16, 2013. ↑ "Study: Android Tablets Surpass iPads In Q1, Tablet Usage Up 282% Since 2011". June 10, 2013. 1 2 3 "Gartner Says Worldwide Tablet Sales Grew 68 Percent in 2013, With Android Capturing 62 Percent of the Market". Gartner. March 3, 2014. Retrieved April 17, 2014. ↑ "9 Upcoming Tablet Alternatives to the Apple iPad". Mashable. Retrieved August 7, 2010. ↑ "digits: Motorola Plans Tablet Device". marketwatch.com. September 16, 2010. ↑ "Lenovo is waiting for Honeycomb". Retrieved October 24, 2010. ↑ Wilcox, Joe (April 28, 2012). "Google has lost control of Android". Beta News. ↑ "15 best Android tablets in the world". Cnet. Retrieved June 12, 2013. ↑ "Six Years Ago, Apple Made a Crowd Gasp With Pinch to Zoom and Swiping". Retrieved June 12, 2013. ↑ "Apple tablet rumors redux: 10.7-inch display, iPhone OS underneath". Engadget. Retrieved August 6, 2010. ↑ tiffany boggs. "Axiotron and OWC Unveil the ModBook". TabletPCReview.com. ↑ "Microsoft Tablet PC". Microsoft. Microsoft. ↑ "Live from Steve Ballmer's CES 2010 keynote". Engadget. Retrieved August 4, 2010. 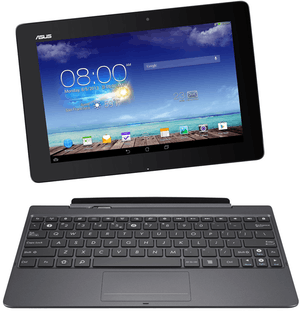 ↑ "ASUS Eee Pad EP101TC opts for Android, dumps Windows Embedded Compact 7". Engadget. Retrieved May 28, 2013. ↑ Einstein, Dave (October 11, 2012). "Microsoft Betting BIG on Cloud with Windows 8 and Tablets". Forbes. Retrieved October 27, 2012. ↑ Miller, Michael. "Build: More Details On Building Windows 8 Metro Apps". PC Magazine. Retrieved February 10, 2012. ↑ Gara, Tom. "What Does the 'RT' In Windows RT Stand For?". Wall Street Journal. Retrieved July 10, 2013. ↑ "Best Windows 8 tablets: all the Windows 8 tablets we've reviewed". Tech Radar. Retrieved June 12, 2013. ↑ One of the following Windows OSs will be discontinued: Windows Phone, Windows RT, and Windows 8 Foley, Mary Jo (November 25, 2013). "Microsoft aims to whittle Windows variants on mobile: A Microsoft official confirms the company is planning to trim the number of different versions of Windows in its portfolio". Retrieved November 25, 2013. ↑ Myerson, Terry (September 30, 2014). Windows 10: Enterprise Features & Core Experience for Businesses. Event occurs at 6:44. ↑ Palladino, Valentina. "Mozilla is testing the first Firefox OS tablet prototype". The Verge. ↑ "Ubuntu coming to tablets, phones and smart TVs by 2014". ↑ First Ubuntu 2-in-1: Aquaris M10. Retrieved 8 February 2016. ↑ Orlowski, Andrew. "Nokia's Great Lost Platform". The Register. ↑ "Nokia's Great Lost Platform - Page 4". ↑ Sousou, Imad. "What's Next for MeeGo". meego.com. Archived from the original on 2011-10-06. Retrieved September 28, 2011. ↑ "Scenes from the Sabu sentencing: "I'm not the same person you saw three years ago." Microsoft really is "all in" on the cloud, but is IT going to follow? Top ISPs threaten to innovate less, spend less on network upgrades Google and Microsoft are out to stop dual-boot Windows/Android devices". Ars Technica. March 14, 2014. Retrieved June 2, 2014. ↑ Lai, Richard (June 2, 2014). "ASUS Transformer Book V is a Windows hybrid laptop with a detachable Android phone". ↑ "LG Electronics Acquires webOS from HP to Enhance Smart TV". Retrieved June 10, 2013. ↑ Carr, Austin (December 17, 2011). "Kindle Fire Vs. Nook Tablet: "Choice" And Trash Talk". fastcompany.com. Retrieved March 28, 2012. ↑ Mack, Eric (December 22, 2011). "How to root the Nook Tablet". Gizmag.com. Retrieved March 28, 2012. ↑ Nita, Sorin (November 17, 2011). "Nook Tablet Can Sideload Android Apps without Needing Root". news.softpedia.com. Retrieved March 28, 2012. ↑ Smith, Peter (December 21, 2011). "Kindle Fire and Nook Tablet both get 'upgraded' with reduced functionality". IT World. Retrieved January 10, 2012. ↑ Verry, Tim (December 21, 2011). "Kindle Fire and Nook Tablet Receive Root Access Killing Software Updates". PCPerspective.com. Retrieved January 10, 2012. ↑ Parishon, Joseph (December 20, 2011). "Nook Tablet firmware update 1.4.1 disables sideloading apps". The Verge. Retrieved March 28, 2012. ↑ "B&N NOOK Tablet 1.4.1 update kills sideloading, lets you keep apps installed so far". Liliputing.com. Retrieved March 28, 2012. ↑ Wolverton, San Jose Mercury News, Troy (November 25, 2011). "Barnes & Noble's new Nook Tablet doesn't measure up to Kindle Fire: Barnes & Noble's latest digital tablet may be an upgrade to the Nook Color, but is not as strong as Amazon.com's Kindle Fire". Seattle Times. Retrieved March 28, 2012. ↑ Hesseldahl, Arik (July 15, 2014). "Apple and IBM Team Up to Push iOS in the Enterprise". Retrieved July 15, 2014. ↑ "Tablet display shipments jump, top laptops in October". CNET. CBS Interactive. ↑ "Survey: 31 Percent of U.S. Internet Users Own Tablets". PCMAG. ↑ "Android races past iOS to tablet number one, but there's no budging Apple from the top slot". ZDNet. ↑ "ASUS and Samsung gain wide swaths of tablet market share in Q3". October 30, 2013. ↑ "iPad Market share analysis". October 31, 2013. ↑ "Gartner Says Apple Will Have a Free Run in Tablet Market Holiday Season as Competitors Continue to Lag". Gartner. September 22, 2011. Retrieved May 23, 2014. ↑ "Gartner Says Worldwide Media Tablets Sales to Reach 119 Million Units in 2012". Gartner. April 10, 2012. Retrieved May 23, 2014. ↑ "Gartner Says Tablet Sales Continue to Be Slow in 2015". Gartner. January 5, 2015. Retrieved February 8, 2015. ↑ "Gartner Says Worldwide Traditional PC, Tablet, Ultramobile and Mobile Phone Shipments Are On Pace to Grow 6.9 Percent in 2014". Gartner. March 27, 2014. Retrieved May 23, 2014. ↑ "IDC Forecasts Worldwide Tablet Shipments to Surpass Portable PC Shipments in 2013, Total PC Shipments in 2015". International Data Corporation. May 28, 2013. Archived from the original on June 10, 2014. Retrieved May 22, 2014. ↑ Stevenson, Kim. "Intel IT Performance Report" (PDF). Intel. ↑ Gownder, JP. "Global Business And Consumer Tablet Forecast Update, 2013 To 2017". Forrester. ↑ Fingas, Jon (February 11, 2014). "Two-thirds of Americans now have smartphones". ↑ "US Tablet Ownership Update, January 2014". marketingcharts.com. ↑ The Michael Cohen Group (February 17, 2014). "Touch Screens" (PDF). Archived from the original (PDF) on 2014-03-03. ↑ "Are Touchscreens Melting Your Kid's Brain? - WIRED". WIRED. ↑ "More People Now Watch TV And Movies On Tablets In Bedrooms Than On TVs!". Business Insider. March 21, 2013. ↑ Coughlan, Sean (6 October 2015). "Tablet computers 'widely used by under-fives'". BBC News. ↑ Global Stats Top 7 Tablet OSs from June to July 2015. Retrieved 16 July 2015. ↑ Johnson, Russ (December 24, 2013). "Blue Light Blues? Three Apps to Fix Screen Tint — And Jet Lag". A New Doman. ↑ "E-readers 'damage sleep and health,' doctors warn". Retrieved 2014-12-22. ↑ "CF.Lumen". Alternative to. Retrieved January 3, 2016. ↑ Rehman, Abdur Rehman · (2013). "Keep you healthy sleep using Android Devices – Twilight Health App Review". Androidegis. ↑ "A better experience every day. And night.". Apple. Retrieved April 17, 2016.